Grandmaster Wai Hong Eng has been one of the most respected Grandmasters in the martial arts world for over 30 years. In addition, he has been known as the “Great Hero”. His many years of service and involvement in the martial arts are legendary. After becoming the third generation successor to Fu Jow Pai in the early part of 1960, he made Fu Jow Pai a household phrase, as the most respected Kung-Fu system in the world. Since the early 1970’s, he has introduced Kung Fu training to New York City Community College, Columbia University, City College of New York, Pratt Institute, Queens College and St. John’s University. In 1971, he began to promote full contact martial arts competition, which has been recognized as the finest and most rewarding form of competition for the serious martial artist. Full contact competition allows the participant to demonstrate his/her best skills and experience. 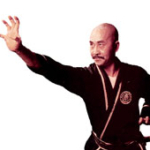 Grandmaster Wai Hong’s concepts have directly influenced the development of present day full contact kickboxing. In 1974, Grandmaster Wai Hong successfully unified the various Kung Fu styles in the eastern United States and established the Eastern United States Kung Fu Federation. These were styles that traditionally remained aloof from one another. In 1978, he published two books. The first is the “Heritage of Fu Jow Pai”, and the second is the “Secret Iron Hand.” These two publications have since been regarded as scientific explanations of the secrets of the Chinese Martial Arts. In honoring Grandmaster Hong’s vast achievements and contributions to the Martial Arts World, he was the first to be inducted into the Gold Cup, Universal Martial Arts Hall of Fame. Grandmaster Wai Hong was a founder and former President of the United Kung Fu Federation of North America for two terms. He has served as an Advisor to the United States Kuoshu Federation for over ten years. 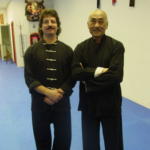 Master Wai Hong Eng taught Shifu Marquez a little of the Fu Jow Pai since Master Kam Yuen and Master Paul Eng are close friends to him and met him in 1981 and trained for a couple of years.